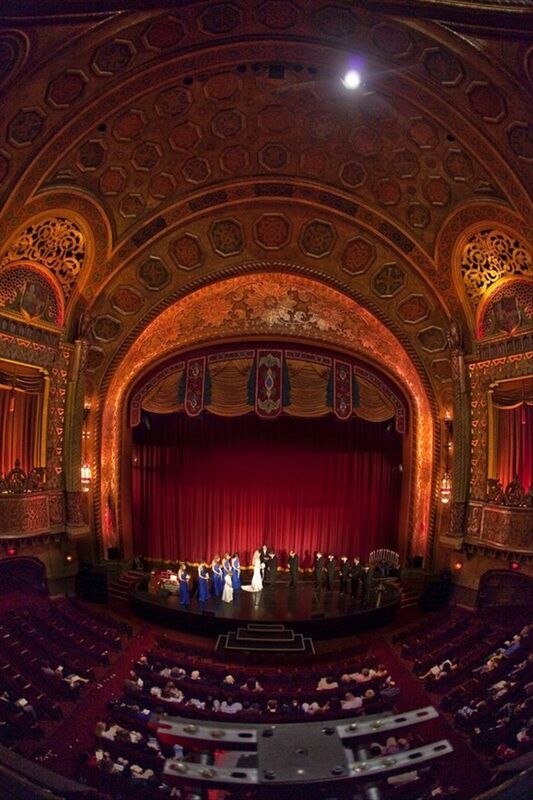 From small movie theaters to huge concert halls, there are a variety of theater wedding venues for arts-loving couples to choose from! 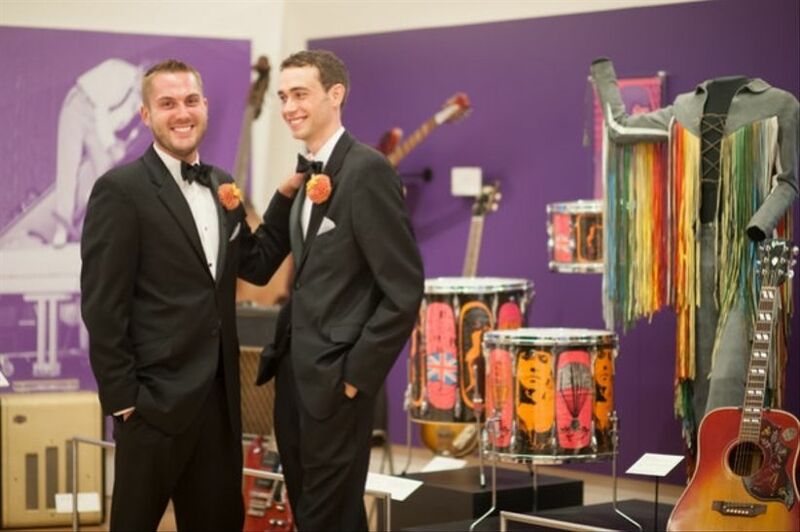 Music-themed and theater wedding venues are both unique and romantic spaces for weddings, especially for couples who love music, cinema, and the performing arts. 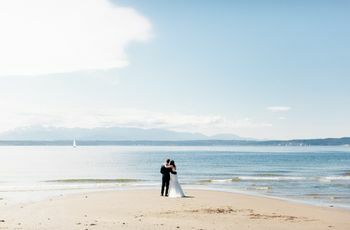 From small movie theaters to huge auditoriums and concert halls, there is a wide variety of theater wedding venues to choose from. 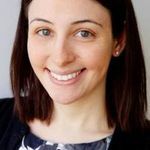 And—bonus!—because many of these theater wedding venues are designed for live performance, the acoustics are sure to be spot-on, so your wedding music will sound extra-amazing! 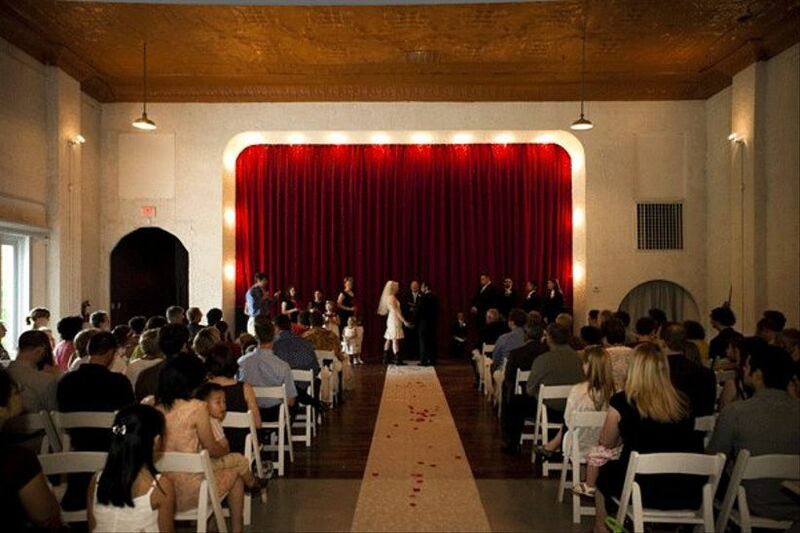 Check out 20 of our favorite theater wedding venues from across the U.S.! 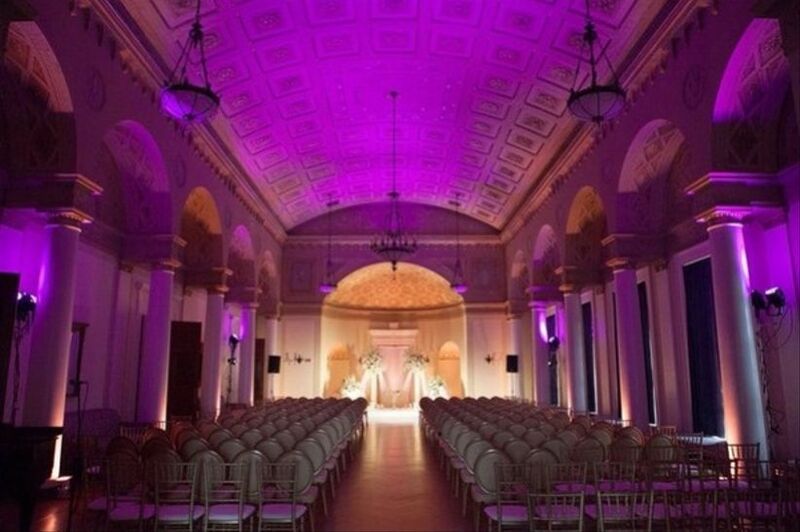 We love the drama of wedding ceremonies on the historic Concert Hall stage, plus the unique art galleries, which are great settings for cocktail hour. The Louis Spiering Room can seat up to 500 guests and features beautiful views of the city. 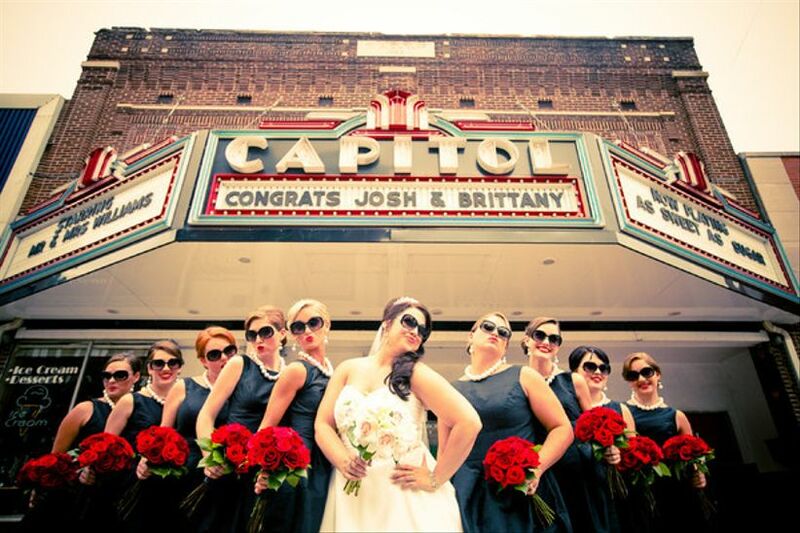 Located just outside of Washington, DC, you’ll find two equally amazing theater wedding venues here. The Georgian Mansion at Strathmore has an Old World, historic vibe, with its chandeliers and grand staircase. 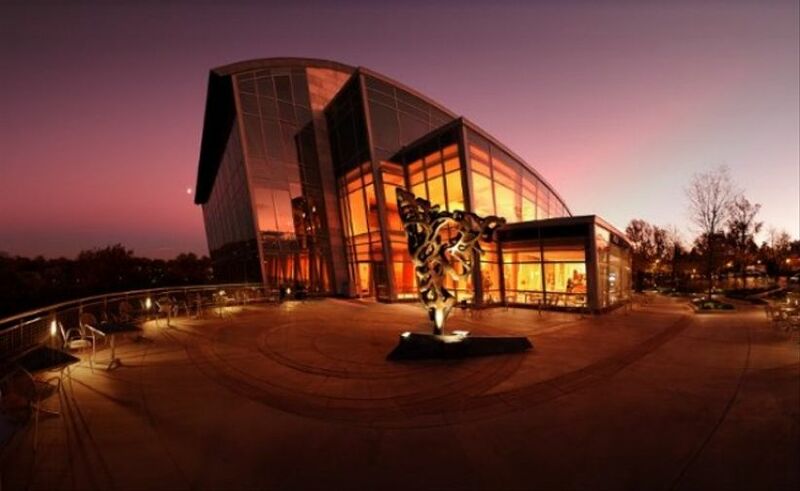 The Music Center is more modern, with its six-story glass wall overlooking the landscape. The Vox Theatre was a silent movie palace in the 1920s, and is now a totally unique movie theater wedding venue. The preserved architecture and red velvet curtain makes this an ideal venue for a creative, vintage-themed wedding. For many years, this theatre was an important cultural space, known for presenting Mexican musicals. It’s now a scenic event venue in the San Gabriel Mountains of Southern California. You’ll find Spanish-style architecture, and an amazing courtyard (complete with romantic twinkle lights!) for ceremonies. 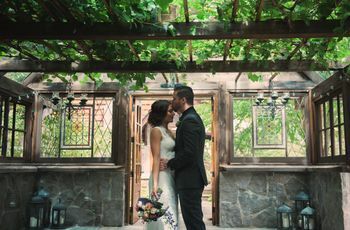 This 1928 theatre wedding venue is known for its stunning arts and crafts architecture, garden patio, and stages for ceremonies. 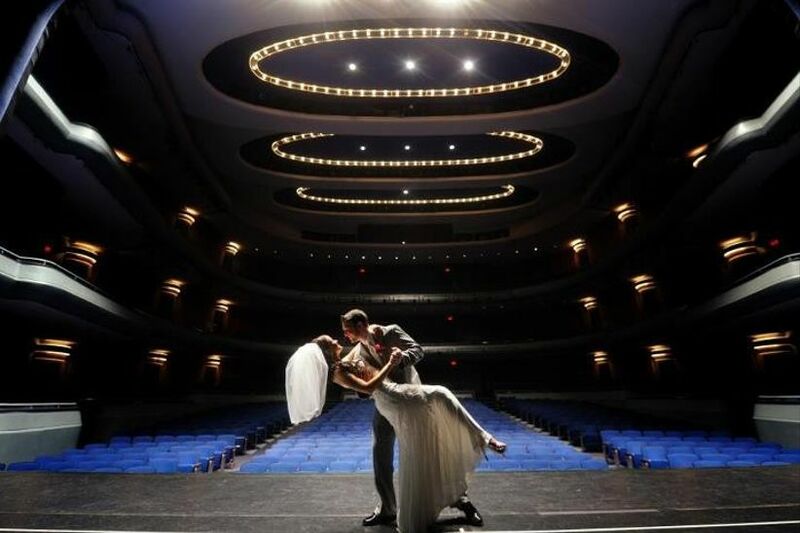 We love that guests can watch your on-stage ceremony unfold from the balcony—what a dramatic view! And of course, photos with the vintage-style outdoor marquee are a must! This restored movie theatre wedding venue features some truly jaw-dropping architectural details—particularly the incredible sculpted ceiling and grand balcony (a great cocktail hour space). There are lots of ways to set up the amazing space, but we love when couples set up their head table on the stage, so they can watch the party unfold from that unique vantage point. 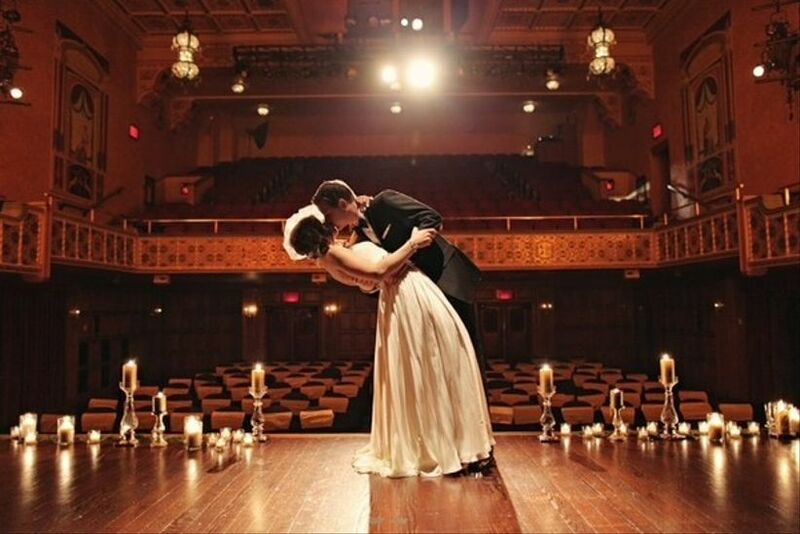 Art Deco-style weddings are all the rage these days—and this renovated theater wedding venue is an ideal venue for 1920s-inspired affairs. From the vintage marquee to the grand stage, this space is all about Old Hollywood glamour (hello, movie posters as décor!). You can even use the 30-foot movie screen to project your same-day wedding video edit during the reception—pretty amazing, right? This concert venue is a unique and fun space for weddings. Located in West Austin Hill Country, this Tuscan-style venue offers three spaces for weddings—an indoor theatre, indoor Celebration Hall, and outdoor tented plaza, all with amazing views. Since its opening in the 1920s, this theatre has hosted silent movies, concerts, beauty pageants—and weddings, of course! The dramatic and majestic space is ideal for glamorous, Old Hollywood-inspired celebrations. One of our favorite features—you can get ready in the same dressing rooms that famous musicians have used! What a majestic space for a wedding! The architecture is simply jaw-dropping—the grand balconies make for a truly show-stopping bouquet toss! And the stage, with its red-velvet curtain is an incredible focal point for any celebration. What a theatrical space! 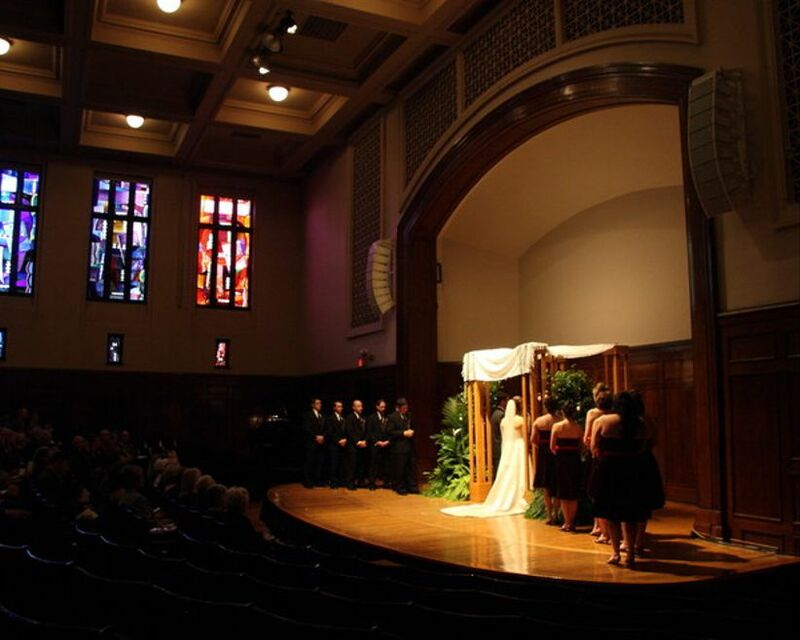 The intimate Kogood Cradle is a unique space for an on-stage ceremony. Receptions take place in the Molly Smith Study or the Grand Lobby include dramatic waterfront views from floor-to-ceiling windows. 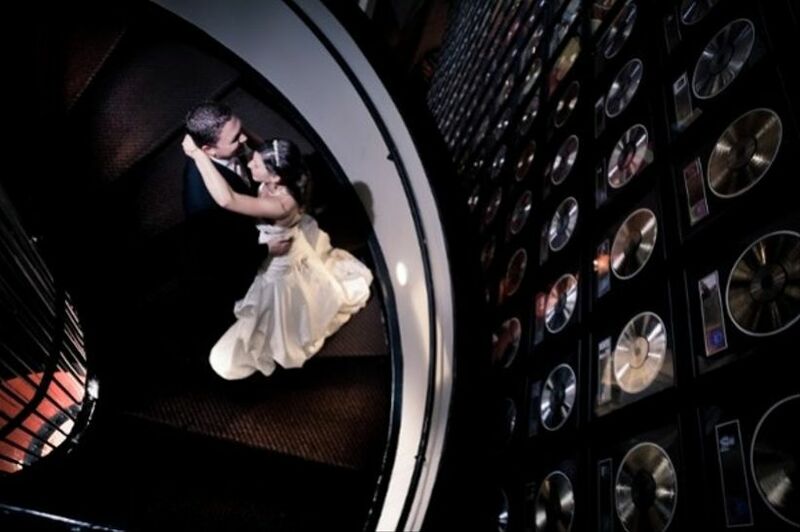 If you’re a true music lover, this is a top spot for your wedding. 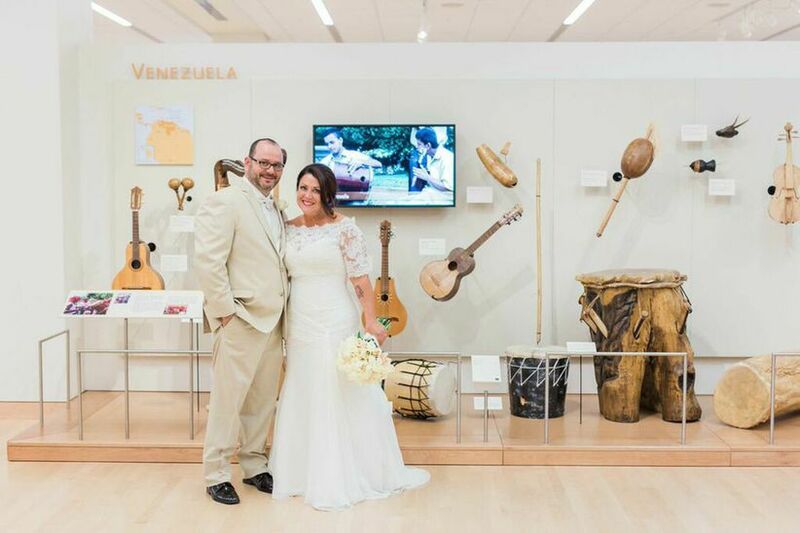 With over 6,000 musical instruments and artifacts from around the world, you (and your guests) will be amazed by the space. 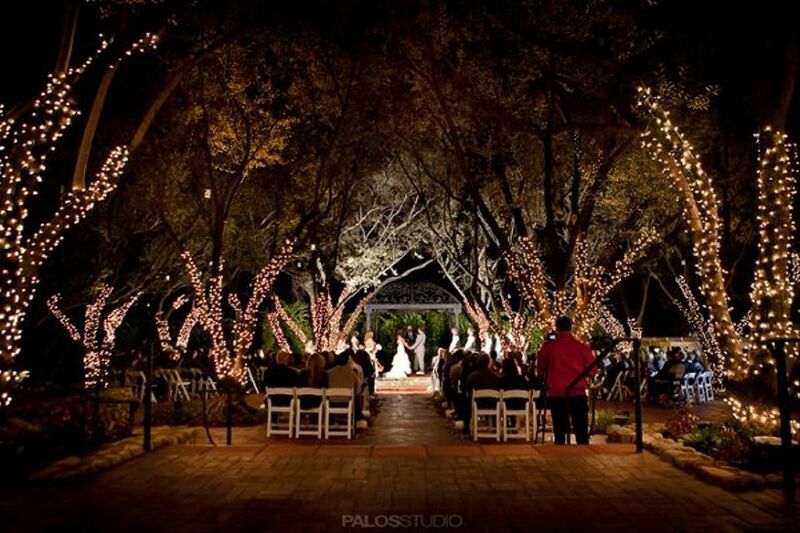 There are beautiful desert courtyards for outdoor ceremonies, as well as several indoor spaces for receptions. 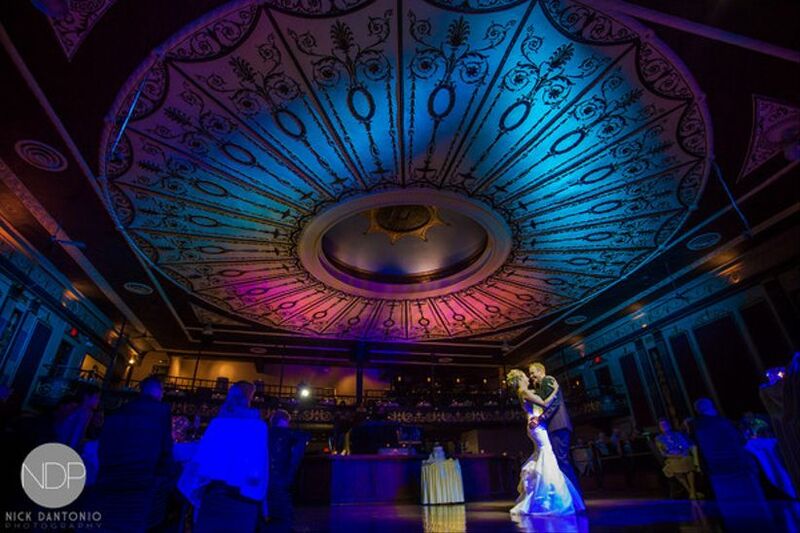 Marry at a true Nashville landmark, full of country music history! The recently-opened event spaces include a 10,000 square foot Event Hall and an outdoor terrace overlooking the Nashville skyline. And what could be a more amazing photo backdrop than the wall of gold albums? 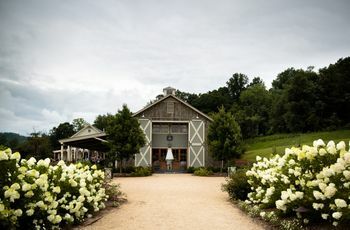 Wolf Trap combines two of our favorite wedding venue styles—barns and music venues. 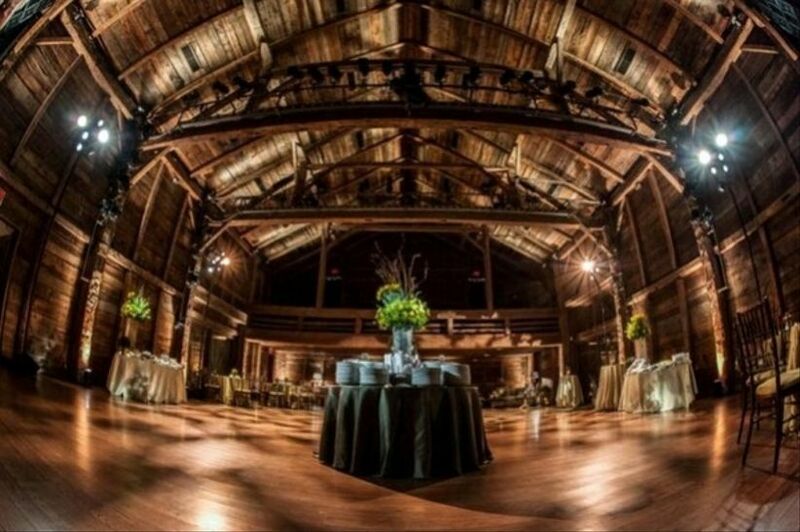 The Barns at Wolf Trap is an intimate music venue, but also transforms into a spectacular wedding venue. There are actually two rustic 18th century barns—the German Barn and the English Barn—and both are fabulous wedding spaces. 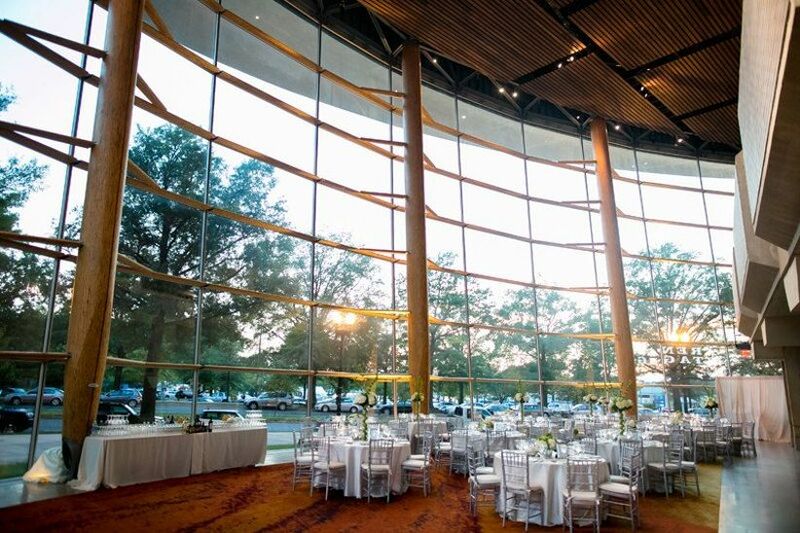 The Center for Education at Wolf Trap is another venue option for a classic and elegant reception. 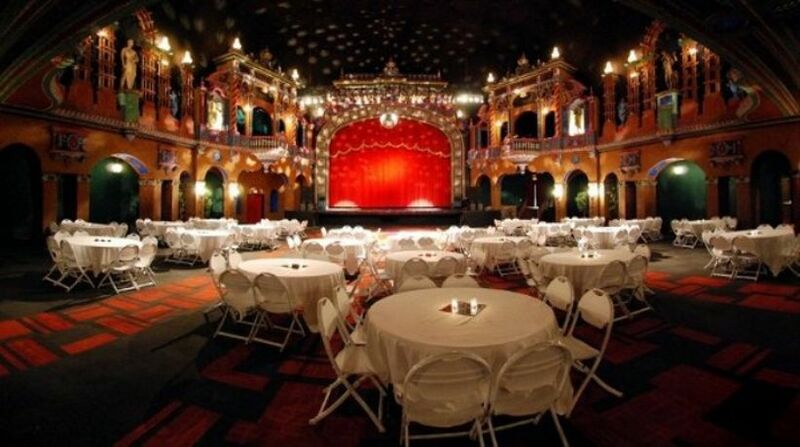 Located along Tampa’s Riverwalk, this theater wedding venue offers several event spaces for a truly grand event: Maestros Restaurant, the Ruth Silbiger Lobby of Carol Marsani Hall, and the outdoor Tent Pavilion. There are many cool photo backdrops, too! 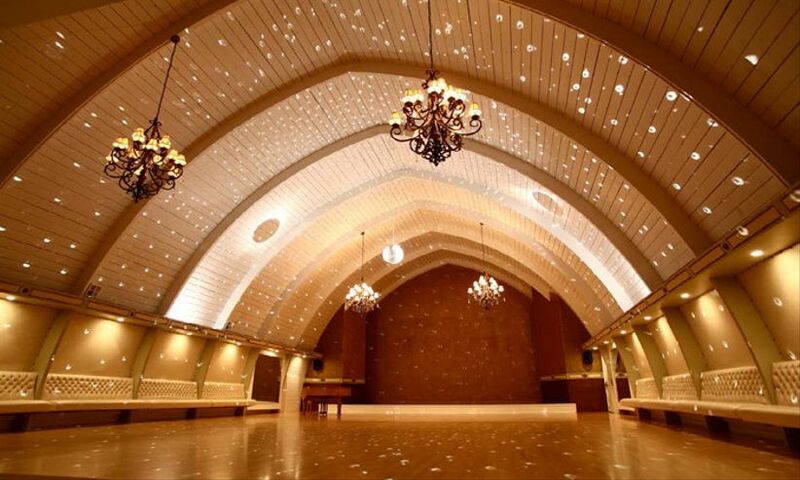 This newly remodeled dance studio features a grand cathedral ceiling and can seat 120 guests. 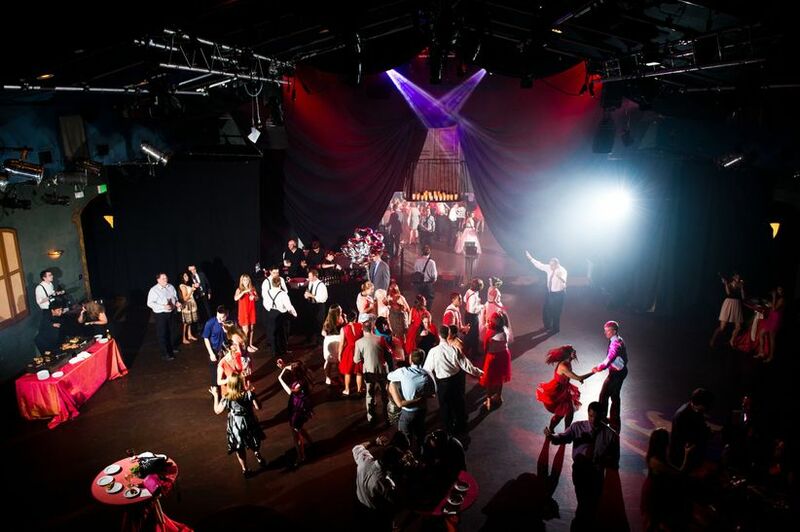 And, of course, it has an amazing dance floor if yours is a crew that loves to boogie! This historic landmark hosts a variety of concerts and performances, and it’s also a totally grand wedding venue with incredible architecture. Christman Hall has a church-like feel, with its gold leaf vaulted ceilings and large windows. The spacious Tyler Grand Ballroom is an elegant reception setting. 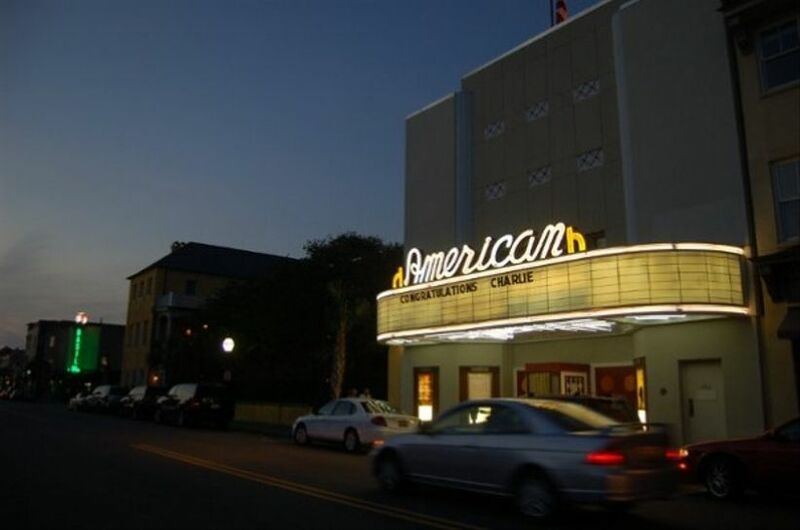 This 1942 Art Deco movie theater wedding venue is a gem in downtown Charleston. We love the Old Hollywood vibe and the unique touches throughout the space—including the original concession stand! 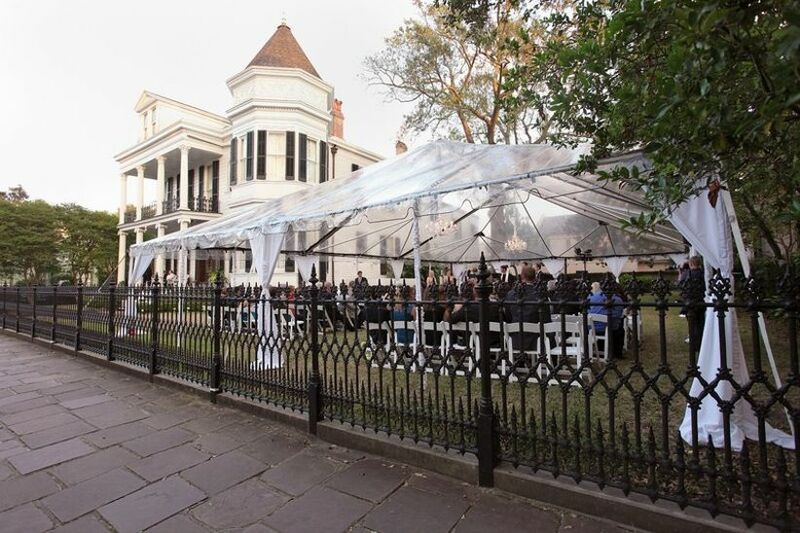 This beautifully appointed mansion is a part of New Orleans music history. 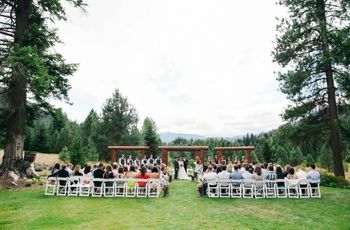 Weddings can be held inside the home or tented in the side garden.